not dive deeper than necessary so it won't scare the game on approach. 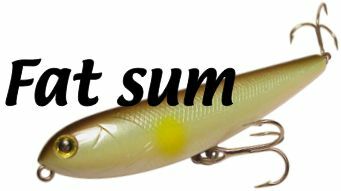 Fat pencil is one of the most famous lures among the hand-made lures by Sum Yamaoka. American top bass professionals recognized it prior to the Japanese bass professionals. has signatures incised on the both sides.